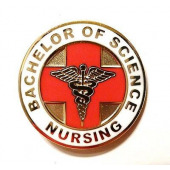 Schools with accredited online BSN programs include University of Florida College of Nursing (accredited by the Commission on Collegiate Nursing Education, CCNE), Capella University (CCNE), and Excelsior College (Accreditation Commission for Education in Nursing, ACEN), to name a few. A traditional BSN program typically takes four years to complete and prepares graduates to enter the field of nursing through a blend of theoretical classroom study and ample hands-on clinical experience. Many programs require 120 credit hours or more to graduate and include courses such as pathophysiology, pharmacology for nursing, healthcare policy, and community health nursing. The number of clinical hours required will depend on the program. Some programs require several clinical experiences totaling 45 hours or 90 hours, with each experience worth three to four credits. Students will complete these experiences in a variety of settings including hospitals, community health agencies, clinics and homes. If you want to get your foot in the door at the best hospitals in the U.S., enroll in a BSN program at an accredited school. We’ve compiled below a list of accredited schools with an online bachelor of science in nursing to help you get started.